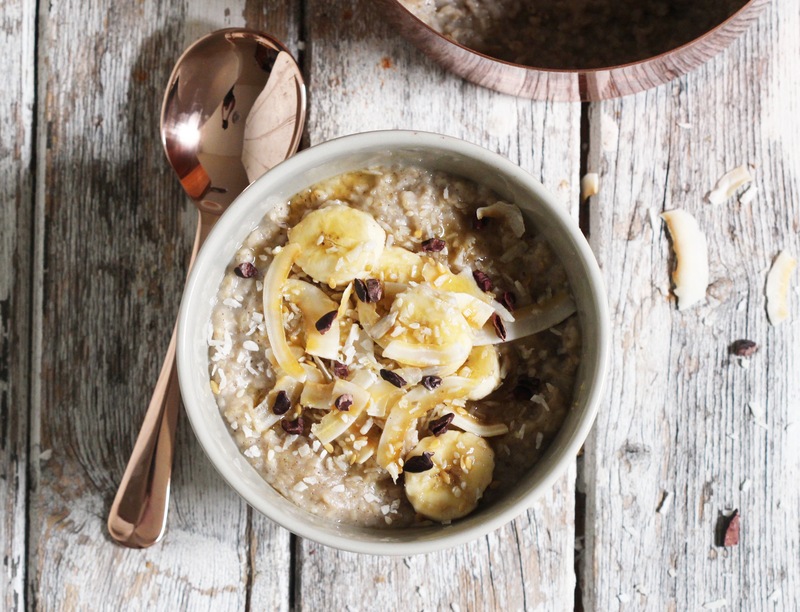 I’m a bit of a weirdo about porridge, it’s one of my favourite things and I love it so much that I usually have it for dessert rather than breakfast. I love having it in loads of different ways but if I had to pick one kind, this would absolutely be it. The coconut milk makes it unbeatably creamy and the vanilla powder makes it taste really sweet before you even add any toppings. 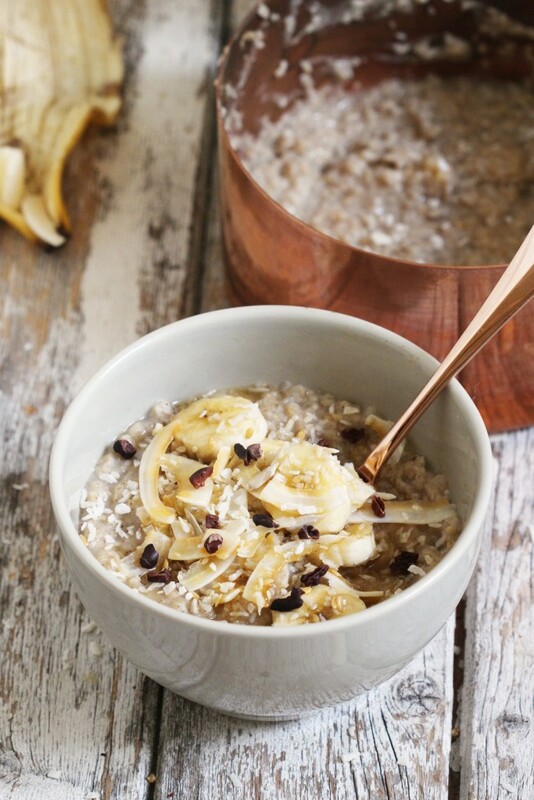 It’s full of fibre and slow release energy and the coconut adds a boost of healthy fats. I have mine with cacao nibs, coconut chips and almond butter but you can top it with whatever you like, whether it’s first thing in the morning or just before bed! Add the oats, water, coconut milk and vanilla powder to a saucepan on medium heat. Mash half of the banana with a fork and then stir it in. Let it all simmer for about 10 minutes until thick and your desired consistency. Serve with the rest of the banana slices on top and your desired toppings. Indy, do you keep the remainder of your coconut milk in the fridge in a sealed container? Or do you ditch it. I am usually only making one portion so would not use the entire tin. Thanks!